The summer crowds have thinned, the air is perfectly crisp, and the colors are some of the most vibrant all year—from embarking on rugged adventures to relaxing with hot drinks around a fire pit, fall is the perfect time to escape to Lake Tahoe with the whole family! With lush forests, clear water, and colorful foliage, nature is Tahoe’s biggest and best playground this season. Take in the changing landscape with a hike through any of the aspen tree forests. Our INSPIRED expert guide also offers complimentary hikes, leading guests on trails ranging in intensity from low impact nature walks to challenging uphill hikes ending in majestic mountaintop views. Tahoe and alpine lake waters remain warm enough to tolerate through mid-October, and one of the best ways to enjoy the shoreline’s scenery is from the vantage point of a kayak or stand-up paddleboard. New to paddleboarding? The calm waters of Kings Beach on the northern shore of Lake Tahoe are the perfect place to learn. For those feeling particularly brave, dive off your board to take a chilly swim! 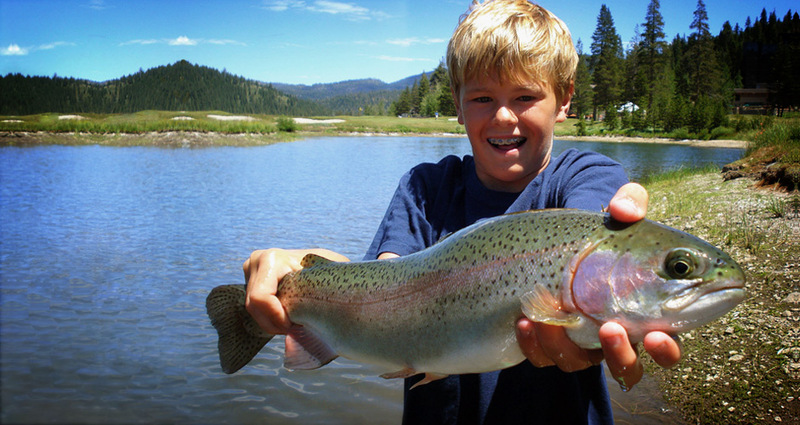 For the fishing enthusiast, cast your rod into the Rainbow Trout and Kakoanee Salmon-filled waters before grilling up your catch at the local Riva Grill. Take waters sports to new heights and put your balance to the test by gliding through the sky while parasailing. Enjoy breathtaking views of the lake from heights of up to 500 feet above the lake. The bike trails, that is! If rough and rugged is more your speed, then challenge your inner daredevil to a Tahoe mountain biking adventure. Tackle the infamous Flume Trail or Van Sickle Trail or zip down the Downieville Downhill. Our INSPIRED team also offers guided bike rides along scenic mountain trails through Martis Valley Bike Adventure and Mountain Bike Cruise. 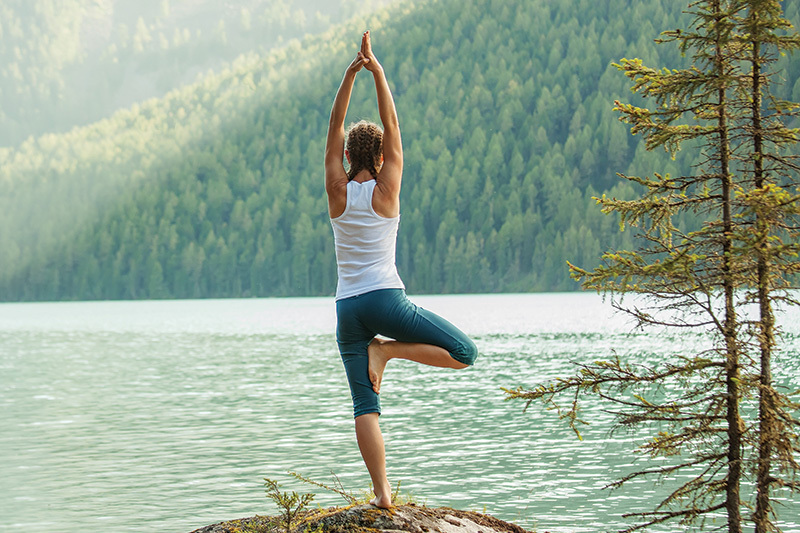 Relax and recharge by practicing sunrise or sunset yoga at the water’s edge followed by treating yourself to a luxurious spa treatment at one of the many exclusive day spas throughout Tahoe. After a long day of outdoor fall fun, thaw out with a dip in a hot tub or by roasting s’mores around a giant community fire pit that’s guaranteed to warm your spirits as much as your bellies! To experience all the fall fun Lake Tahoe has to offer, you’ll first need a base of operations. Book a stay at one of our cozy yet luxurious Welk Resort properties in Lake Tahoe that are ideally located and provide perfect amenities for families. Our Northstar Lodge by Welk Resorts is a collection of ranch-style villas with high-end appeal, including its own gondola, a private owner’s lounge, and media theatre. One Village Place by Welk Resorts is comprised of luxury villas with mountain views and is located within walking distance to dozens of restaurants, shops, and fun! Interested in fall excursions but unsure where to begin? Our Concierge team is on-hand and happy to help plan the perfect fall outing—even if you’re not staying with us! Call 877.218.9104 and let us sort out the details for you. No matter what type of fun you get into this season, we hope you enjoy it to the fullest with those who matter most.